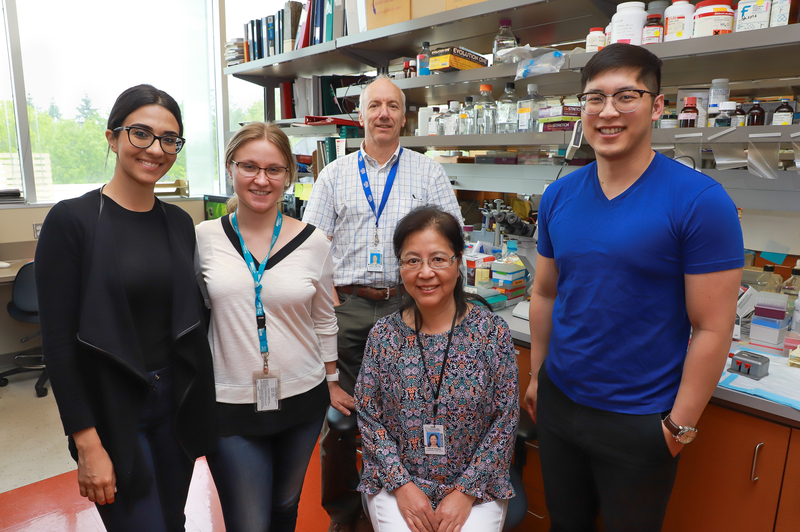 Dr. Verchere’s research is aimed at understanding how insulin-producing beta cells normally function and why they are dysfunctional and/or are destroyed in both type 1 and type 2 diabetes. With this understanding, he aims to devise new ways to protect beta cells, thereby slowing or preventing disease onset, and to enhance beta cell survival following transplantation of pancreatic islets into diabetic patients. For a list of Dr. Verchere's publications, click here. Dr. Amed's research involves the treatment and prevention of childhood obesity and diabetes. Obesity is the single most important risk factor for the development of type 2 diabetes and therefore, Dr. Amed is interested in developing and evaluating community-based programs designed to prevent childhood obesity. Dr. Amed is also interested in developing and evaluating innovative ways to provide the health services necessary for children with diabetes in order to optimize their care and prevent long term complications of this disease. For a list of Dr. Amed's publications, click here. Kidney transplantation is a life-saving treatment for children with end-stage kidney failure. A major threat to success is rejection, where the body’s immune system attacks and destroys the transplanted kidney. If rejection isn't treated early, it results in permanent injury that can lead to loss of the transplant and a return to dialysis. Currently, tests that monitor kidney function will miss early or mild rejection. Instead, we screen with repeated kidney biopsies, which are risky and unpleasant. This research program will use proven techniques to identify signs of kidney injury and rejection in the urine of children who have had a kidney transplant. It will focus on the first year after transplant, since this is the highest risk for rejection. We will look for metabolites and chemokines that we have tested before to identify when injury or rejection is present. Metabolites are small molecules produced by our cells as part of their function or as waste products. Chemokines are a different type of molecule that is produced by our immune system to signal inflammation. We already know some of the changes that occur with rejection. We now plan to validate that the same changes are present in other Canadian children with kidney transplants. For a list of Dr. Hansen's publications, click here. Dr. Chanoine focuses on the study of nutrition and childhood obesity, from the laboratory to the patient and the community. The main line of research aims at understanding the physiological events leading to the onset of obesity, with emphasis on the regulation of ghrelin, a newly discovered hormone secreted mainly by the pancreas in the fetus and the neonate. Dr. Chanoine's projects include laboratory-based gestational diabetes research, clinial projects aimed at investigating the role of ghrelin in neonatal appetite regulation and community projects propose an original intervention to prevent the development of obesity in school children. For a list of Dr. Chanoine's publications, click here. Recent evidence suggests that a mother's diet during pregnancy can influence the development of cardiovascular disease (CVD) risk factors in their adult children. Dr. Devlin's research focuses on determining how this occurs. For a list of Dr. Devlin's publications, click here. Immunization as a possible treatment for cancer is a recent concept. One of the limitations of current vaccine protocols is inefficient priming for cytotoxic T lymphocytes, which are important in the control of viral infections and tumours. Skin dendritic cells are potent antigen presenters to the immune system. However, the skin historically has been regarded as a barrier and has not been intensively studied as an organ of immunization. Dr. Dutz's laboratory is engaged in studies to optimize the use of the skin as an organ to alter systemic immune responses. 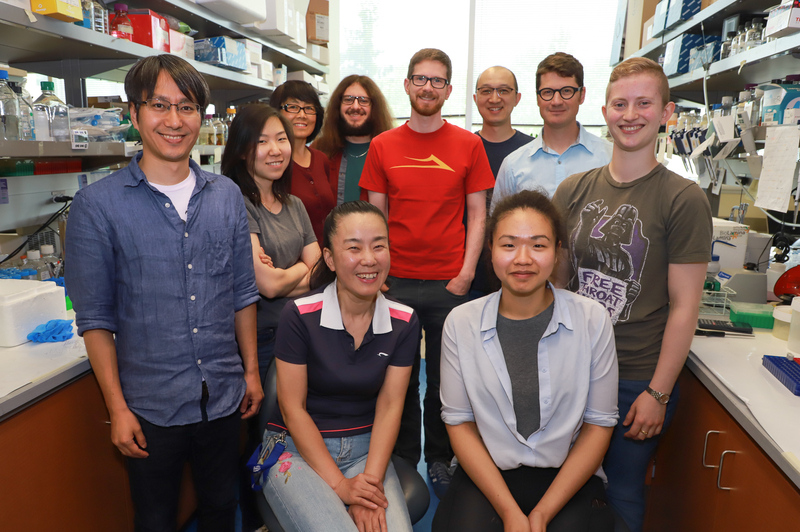 In separate projects, Dr. Dutz is studying the priming or activation of T cells involved in models of systemic lupus erythematosus and juvenile onset diabetes mellitus. For a list of Dr. Dutz's publications, click here. Dr. Gibson's major interest is in genes that affect body weight regulation, whether their effects are on food intake, energy expenditure or on nutrient distribution to fat or lean tissue. By studying rare genetic disorders and rodent models of obesity and leanness, Dr. Gibson hopes to derive valuable lessons that are relevant to obesity and cardiovascular disease in the general population. Dr. Gibson is a Clinical Geneticist with an interest in severe obesity and lipodystrophy. His group applies state-of-the-art assessment of body fat mass, fat distribution and circulating hormones to individuals with severe obesity and genetic lipodystrophy syndromes. For a list of Dr. Gibson's publications, click here. Dr. Hoffman researches the genetic and epigenetic mechanisms that control the transcriptional networks that drive endocrine pancreas development, function, and proliferation. Understanding how the genes critical to endocrine pancreas development, as well as β-cell function and proliferation are regulated is essential for the development of novel strategies for the production of insulin- secreting cells, and for improving the efficacy of available transplantable material. For a list of Dr. Hoffman's publications, click here. A main focus of my academic work involves the development and assessment of clinical programs for children with type 1 diabetes. This includes the development of a diabetes telehealth program to provide improved access to specialist care for children across the province. I am also currently involved in an assessment of the BC Children’s Hospital insulin pump program. I am engaged with Child Health BC in work around provincial planning for type 1 diabetes care, and I have a specific interest in the development and assessment of diabetes care for children in the school setting. My current diabetes research interests include assessing the effectiveness of coaching for families of children with type 1 diabetes. We have also recently completed a study documenting the prevalence of acute kidney injury in children with diabetic ketoacidosis. For a list of Dr. Hursh`s publications, click here. 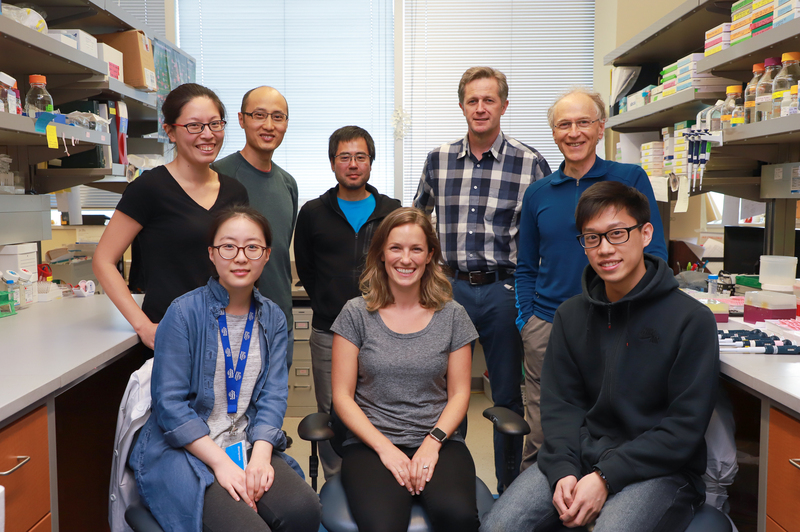 Research in Dr. Levings's laboratory is focused on a novel subset of CD4+ T cells, termed T regulatory (Treg) cells, which control immune homeostasis. Current work is focused on determining how Treg cells differ from normal CD4+ T cells at both the biochemical and molecular levels, and elucidating their role in transplantation tolerance, cancer and inflammatory bowel disease. A long-term goal is to develop methods to generate Treg cells in vitro for use as a cellular therapy to replace standard immunosuppression in the context of organ transplantation or to restore tolerance in the context of autoimmunity. For a list of Dr. Levings' publications, click here. Visit the Levings Lab website. 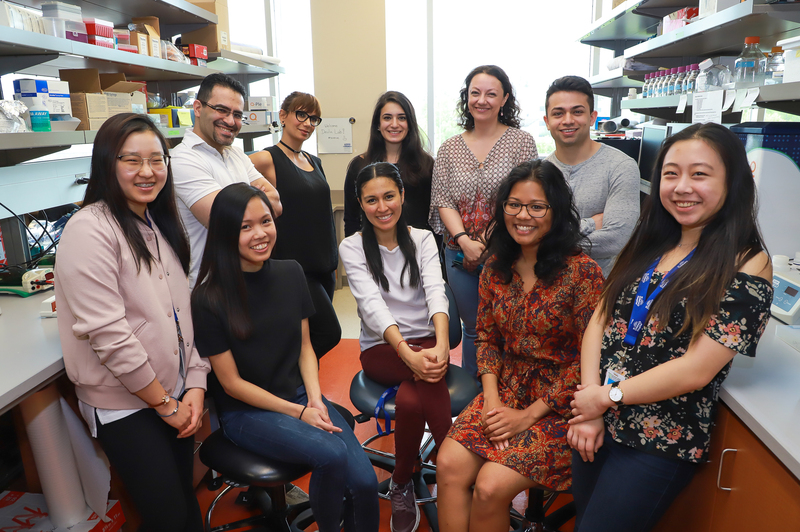 Dr. Luciani and the diabetes research group seek to clarify the complex mechanisms that link β-cell function, β-cell failure and various pathways of β-cell death. 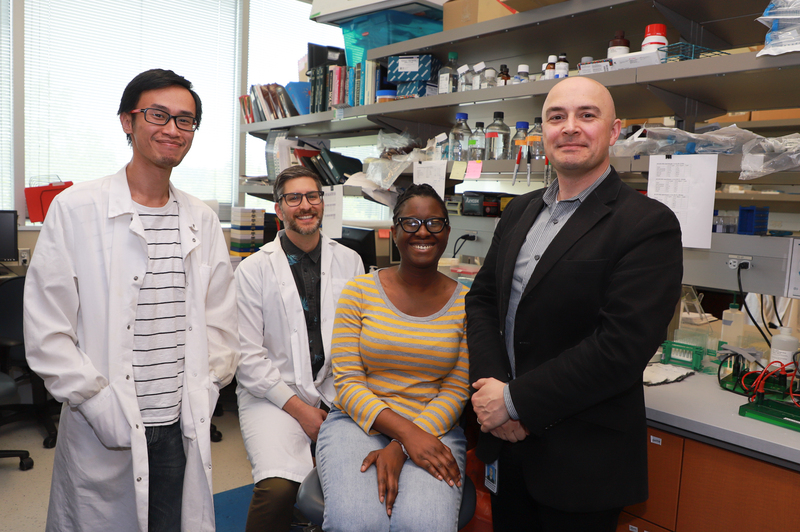 Currently his work is focused on studying how the cellular ʽsuicideʼ machinery also plays important roles in normal β-cell function and thereby may control if β-cells adapt or fail during the cellular stress associated with diabetes. Dr. Luciani studies these mechanisms from the level of genetic changes to the impact of these on single cell function and the progression of diabetes. 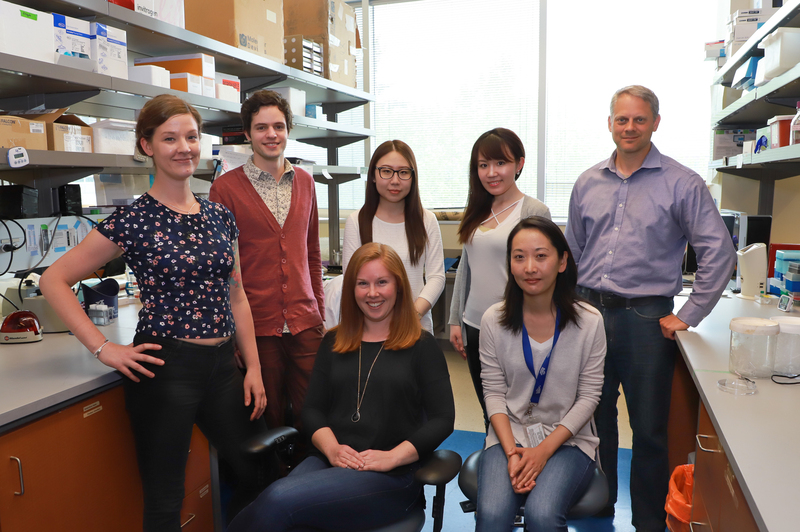 In this way the Luciani lab hopes to identify and characterize new targets for diabetes prevention and therapy. For a list of Dr. Luciani's publications, click here. Dr. Lynn studies how the pancreatic beta cells, which produce insulin and fail in diabetes, form during embryonic development. He aims to apply that knowledge to drive stem cells towards beta cells in order to cure diabetes. For a list of Dr. Lynn's publications, click here. Dr. Metzger's research is primarily involved in the development, prevention and treatment of type 1 (insulin-dependent or juvenile-onset) diabetes. Dr. Metzger is an investigator in several multicenter clinical trials involved in preventing type 1 diabetes. He also maintain a large website providing resources for families of children with diabetes and other endocrine disorders, and for the professionals caring for these patients. Most recently, working with local and provincial resources, Dr. Metzger has helped initiate an endocrine treatment program for transgendered youth. For a list of Dr. Metzger's publications, click here. The first aspect of Dr. Panagiotopoulos's research relates to the prevention of type 2 diabetes and its associated co-morbidities in youth with mental health conditions treated with atypical antipsychotic (AAP) medications. She has also conducted diabetes screening and found high prevalence of pre-diabetes in youth residing in First Nations communities in B.C. which led to the program development of a culturally appropriate Actions Schools! BC and Healthy Buddies program. Further, in collaboration with other researchers at CFRI, Dr. Panagiotopoulos led the evaluation of the Shapedown program at BC Children’s Hospital. Dr. Panagiotopoulos is also the Clinical Core Leader within the CIHR New Emerging Team in Childhood Autoimmunity. Inflammation is critical process that our bodies use to protect against infections and heal after injuries, but it can also go horribly wrong. Too much inflammation can lead to inflammatory and autoimmune diseases, like diabetes. The Sly laboratory studies specific cells in the body that contribute to inflammation, and the proteins within those cells that regulate the inflammatory process. Our goal is to develop new strategies to treat the excessive inflammation that causes diseases, including diabetes. For a list of Dr. Sly's publications, click here. My program of research focuses on diabetes prevention and control in ethnic minority, high risk, and medically underserved communities. Overwhelming evidence has demonstrated that participation in self-management interventions lead to improved diabetes-related health and psychosocial outcomes. However, in the absence of ongoing, long-term support, these improvements are short-lived (less than 6 months). My research team develops, implements, and evaluates sustainable and capacity building models to promote lifelong diabetes self-management efforts. Over the past 10 years, we have been investigating peer support as a promising model to improve diabetes care in economically disadvantaged or marginalized communities. These communities include African American and Latino adults in Detroit Michigan and South Asian adults in Vancouver, British Columbia. We have also initiated a peer support study recruiting newly diagnosed and complex patients from tertiary care settings. By drawing on community-based resources such as peer support, it is possible to implement diabetes prevention and self-management interventions in a cost-effective and practical way that can potentially lead to clinical and psychosocial benefits particularly for high risk and low-resource communities. For a list of Dr. Tang's publications, click here. In humans, failure to properly govern energy metabolism can result in diabetes and obesity. Dr. Taubert's lab studies how deregulation of gene expression evokes the metabolic imbalances that underlie these diseases. Because the regulatory networks that control gene expression are evolutionarily conserved, they exploits the cytologically and genetically tractable roundworm Caenorhabditis elegans to discover and characterize novel regulators. In addition to this discovery research in nematodes, the lab tests whether the mammalian orthologues of these genes affect similar processes in cultured cells and in mammalian model organisms. For a list of Dr. Taubert's publications, click here. Type 1 diabetes (T1D) is caused by islet beta cell damage elicited by the patients' own cells, called T-cells. Transplantation with islets is an attractive way to treat T1D. The therapeutic success of islet transplantation rests on the ability to inhibit T-cell responses and to protect beta cells from damage. The objective of Dr. Warnock's study is to develop a novel protocol for preventing beta-cell destruction in islet transplantation through the administration of B7-H4 and through the enhancement of protective protein production in grafted islets, in order to protect beta cells and prevent the recurrence of diabetes in islet-transplanted mice. For a list of Dr. Warnock's publications, click here.